Fall leaves forming a border for a background with shallow depth of field and copy space. 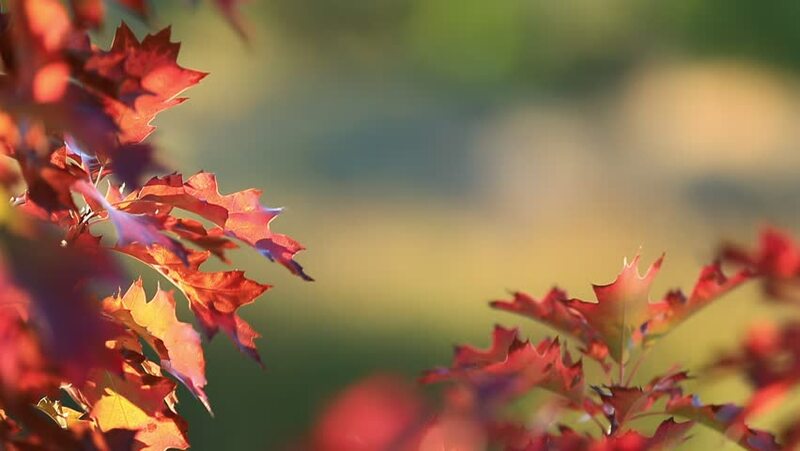 4k00:16Red oak leaves in autumn. Green blurred background. hd00:37Colorful red and yellow leaves on tree branch, Wind blows softly. Shallow field of view. hd00:20Autumn leaves of maples. It is a landscape that symbolizes the autumn of Japan. Shinjuku, Tokyo, Japan.